Hi all - i'm getting ready to proseal the 12iS fuel tank, are there any tips/tricks to getting this right the first time? -- Don't rush it. Try to be neat. Use lots of nitrile gloves, spreading sticks, and masking tape. -- Use cake decorating bags or plastic storage bags for long even runs of sealant. Large syringes found at animal supply stores work well too. -- Mix up and use small batches of sealant. I used a lot of those small plastic flat-bottomed condiment cups found at fast food joints. -- Do not think that globbing on more sealant is better. Before you start, think about how the fuel might leak through the joint or seam and spread your sealant accordingly and carefully. Its a Zen kinda thing -- "Be the Fuel...". 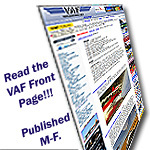 -- There is a lot of information on the VAF site concerning generic RV tank sealing techniques. I made my tank as a series of sub-assemblies over a period of 2-3 days. I found that new sealant successfully adhered to the still-curing day-old sealant. -- Don't worry about the bit of sealant that gets on the end of your clecos. When I removed a dirty used cleco I threw it in a container of MEK (or whatever solvent you use) and later wiped off the bit of sealant at my leisure. I actually enjoyed building my tank. Nary a leak after 740+ hours (Knock on wood). Just be glad that we don't have to buck AN rivets on our RV-12 tanks -- that can be messy! Scotch Brite all sealing surfaces first and keep every thing clean, clean, clean before applying sealant!